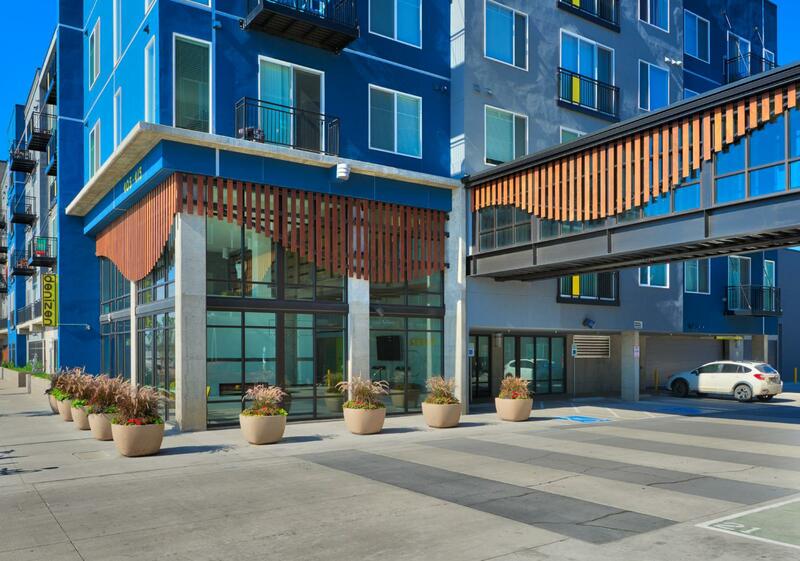 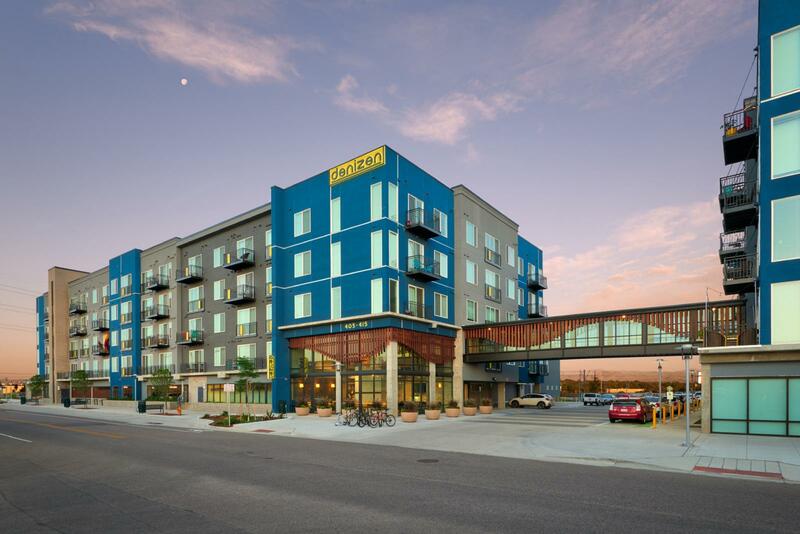 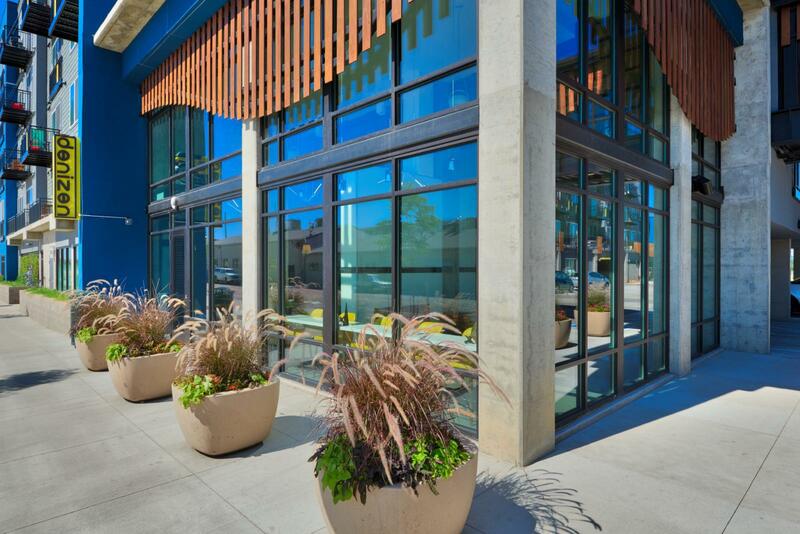 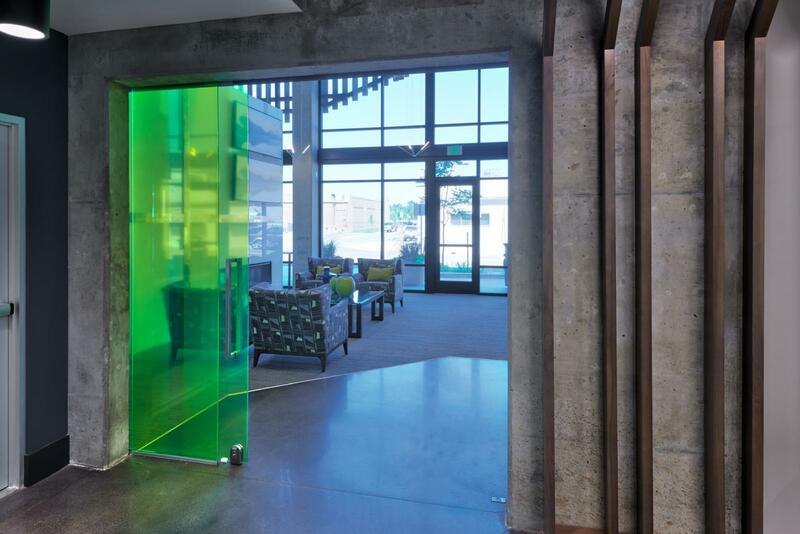 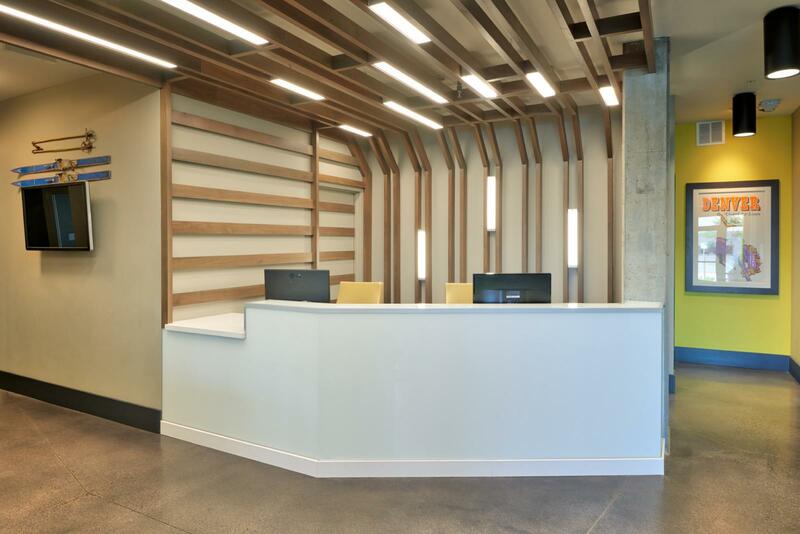 Previously Alameda Station, Denizen is a multi-use building that houses both residential and commercial space. 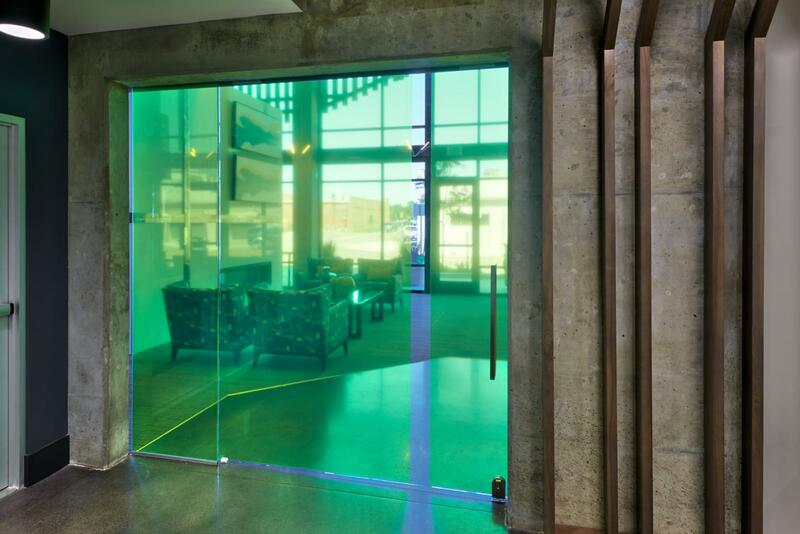 Builders’ Glass was part of the team that completed the commercial side. 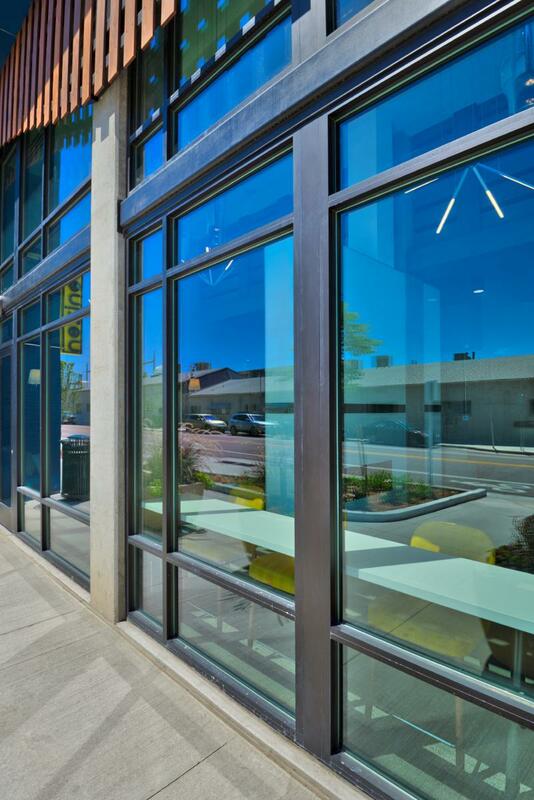 The scope consisted of a dark bronze storefront application with integral brakemetal column covers. 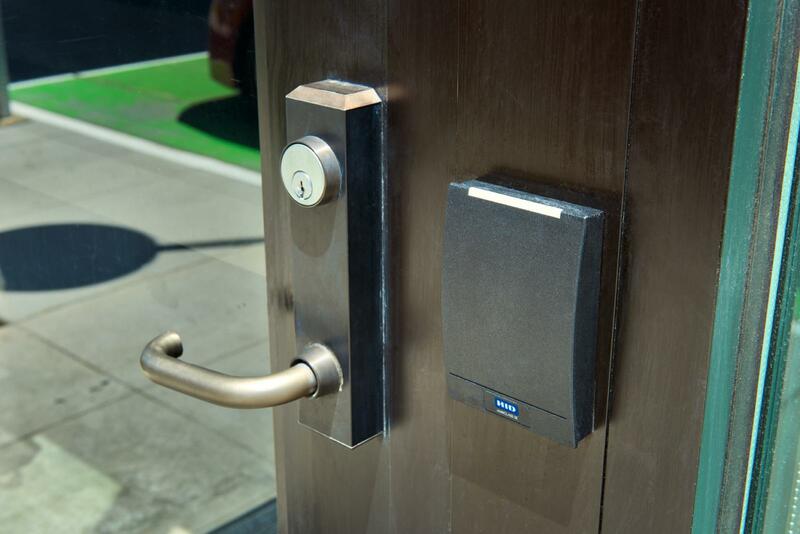 The limited access door hardware installation required concise communication with the security contractor for a secure door installation. 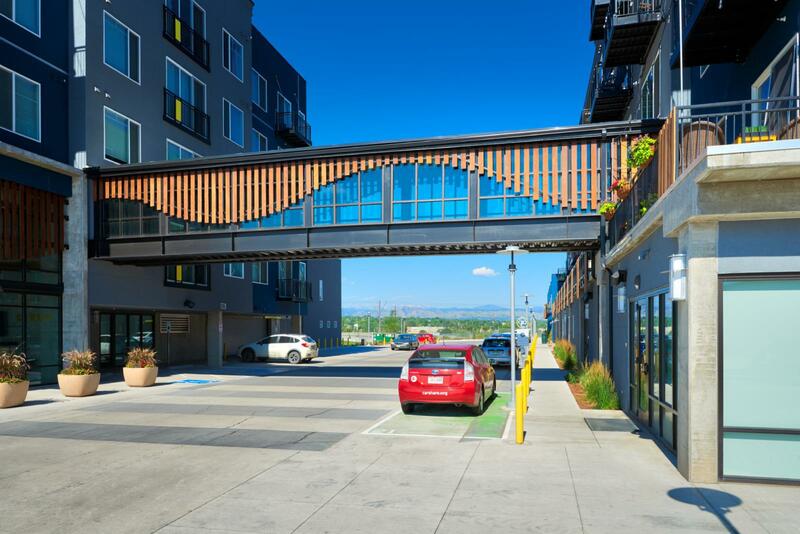 Builders’ also installed the storefront system at the pedestrian bridge. 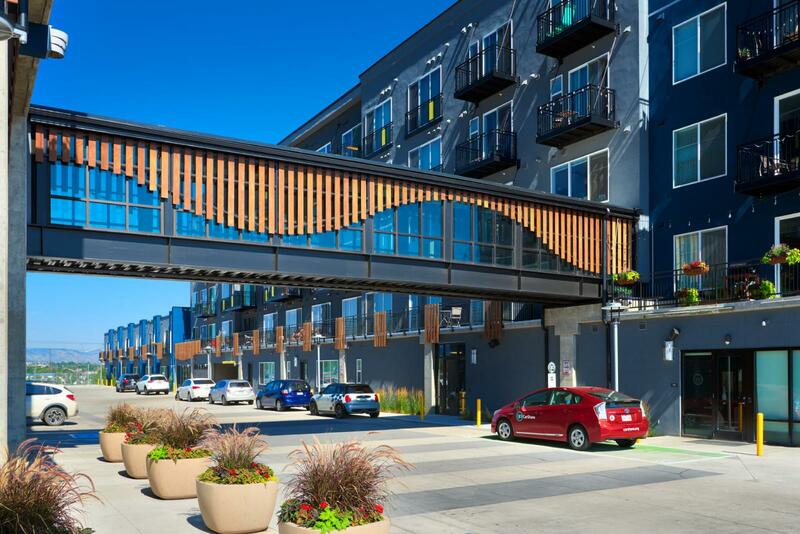 The bridge’s design included an arc; the arc required careful consideration in order to ensure proper frame sizing and vertical alignment. 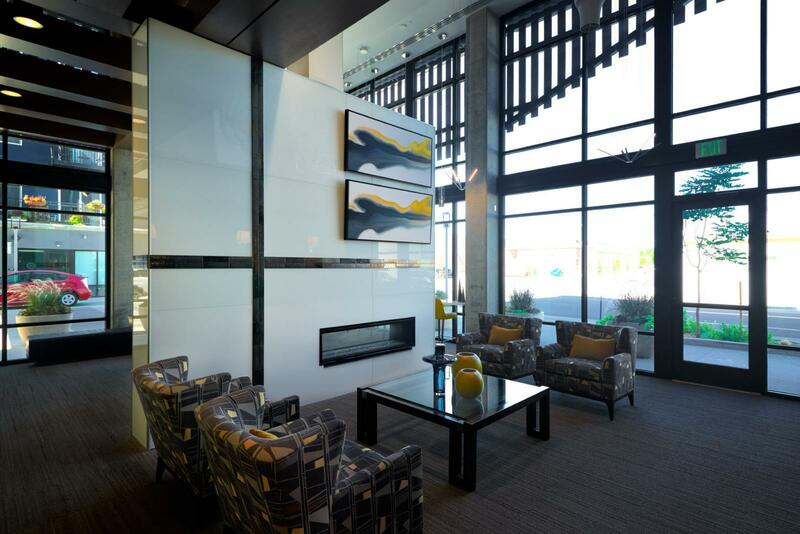 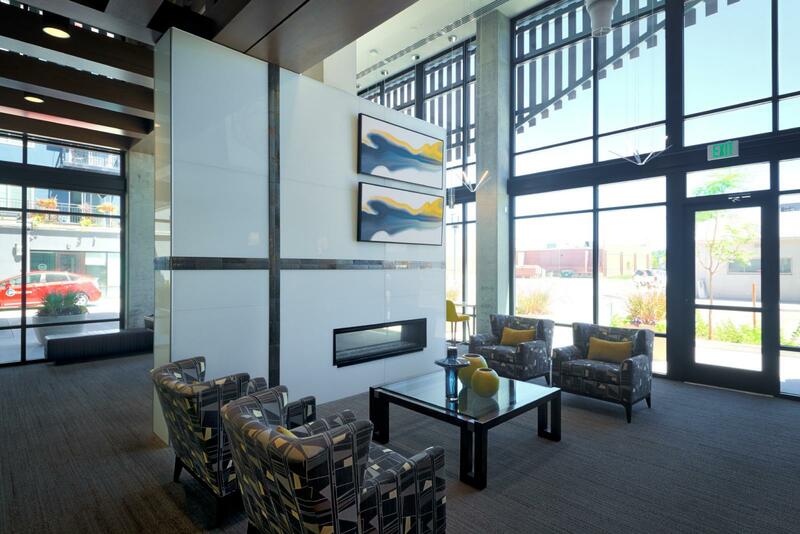 The interior scope included back-painted glass panels at the fireplace and front desk, and the installation of a barn style door, with colored film.